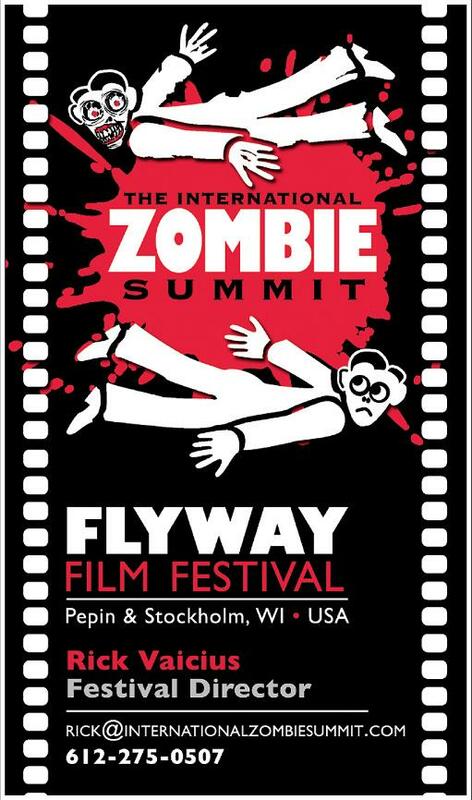 For the 2010 installment of the Flyway Film Festival's International Zombie Summit, I designed a logo based on the UN logo and used a font styling modeled after the US artwork for Lucio Fulci's 1980 spaghetti zombie masterpiece ZOMBIE. 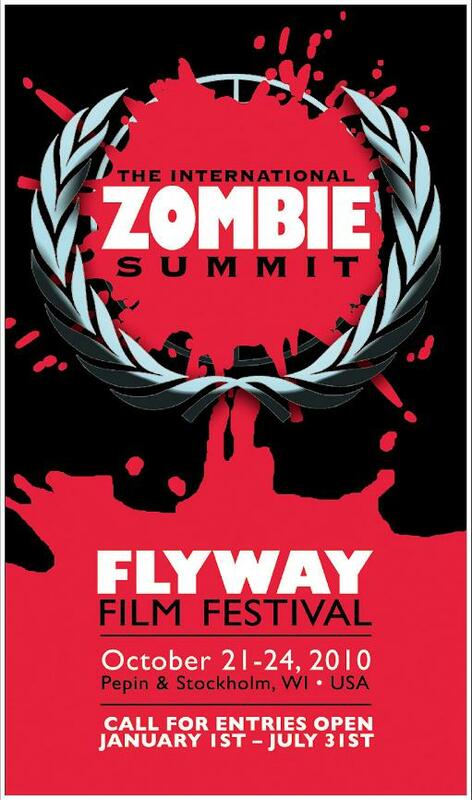 I also zombied up one of the flying drama guys below (seen in his pre-zombie state at the Flyway link above). This particular design is a two-sided business card.